With the economy still slowly being rebuilt, it’s important that we focus our efforts not only on one area, but that we spread our time and resources to net the greatest return. This helps us to stay afloat during tumultuous times and keeps us a step ahead of the competition. In property management, the commercial industry can provide an added level of stability to your portfolio and boost profits at the same time. If you’re considering expanding into this sector, here are a few tips to help make it worth your while. When you’re dealing with businesses and other commercial tenants, being readily available and on top of your game are essential to your success. Clients want to know that if and when they need something, you (or your team of professionals) will be there to assist in a timely manner. Here are a few organization tips that we shared a while back to help get you on the right track before you get in over your head. Make the time necessary to anticipate and plan for an extraordinary future with The Property Manager's Guide to Proactive Management. There’s no dilly-dallying when maintenance issues arise in a commercial property, because they could be costing your tenants money. Make sure that you’ve got a system in place to handle incoming maintenance requests (we recommend property maintenance software) and make sure nothing slips through the cracks. You’ll also want to have a list of reliable professionals that you can call to handle your property maintenance needs quickly and effectively. With residential properties, you can usually get away with minor repairs and upkeep, but with commercial clients who will by paying significantly more, regular upgrades are not just important, they’re expected. Keeping your commercial properties up to date and modern can help set you apart from the competition and land you better, long-term tenants so the investment will pay off over time. Understand that when you’re dabbling with commercial properties, you’re playing with the big dogs. This clientele will be looking for more enhanced service, which you cannot provide unless you make an investment in technology. Internally, you’ll also need more advanced options to effectively run your business. Choose a software that has sophisticated features, like financial reporting, forecasting and online portal access. 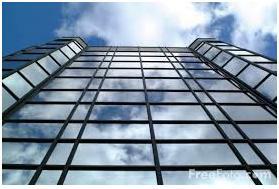 Stay in contact with your commercial tenants in any way you can. This could include sending out a weekly or monthly newsletter, setting up an online community or just making yourself available to them whenever the need may arise. Being present and keeping the lines of communications open will create a much more solid relationship with your renters, which can reduce costly turnover and other headaches down the road. Commercial property management can be a lucrative venture, but only if you enter the field with the right attitude and expectations. By taking these important tips into consideration, you’ll have a much better chance of making this component of your business a resounding success. Get your free copy of The Property Manager's Guide to Proactive Management — And make the time necessary to anticipate and plan for an extraordinary future.